Niina Di Lorenzo began her design education in Toronto and completed her education in Vancouver, BC. Prior to starting her own company, Niina Di Lorenzo Designs, in 2010 she was the Manager and Senior Designer at Fluff Design and Decor in Vancouver, British Columbia. In the winter of 2011 she relocated with her family to Penticton, British Columbia where she continues her design career in the South Okanagan. Niina specializes in space planning and kitchen and bath design. 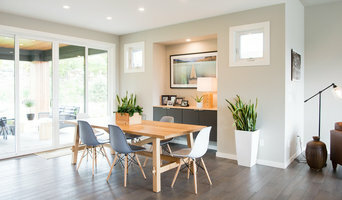 Other services offered are new home construction, "gut to start" renovations, small renovations, space planning, paint colour consultation, furniture design and purchasing, furniture set up, window treatments, project management and home staging (rental furniture available). All services are based on an hourly fee where you can customize the amount of work you require. Niina Di Lorenzo works strictly with quality contractors, trades and suppliers. Whatever your needs I can help, no job is too big or too small. Contact Niina for a more personalized discussion based on your needs. I have been helping clients transform their space, both residential and commercial, for over 13 years. I provide full service interior design - from kitchen and bathroom design, to full home renovations from concept, drawings, to all finishes. It is the small details that add to produce a result that we are all thrilled with. For my commercial clients, I even design their logo and signage, as that detail is as important as picking out that fantastic material for a feature wall. 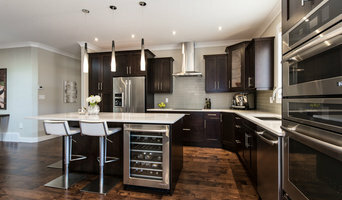 I am passionate about listening to what each client needs from their space, from small renovations, to large custom homes, a space is a reflection of who we are and I am grateful for the opportunity each time I get to work as part of a team with my clients to accomplish all that they had hoped for, and that little bit more! Crystal Nohr Design - offering Design/Decor/Staging in Penticton BC Interior Design service that will handle everything at any stage. I help clients in creating an inspiring, efficient and functional space. I know how important it is to move quickly and work with priorities. I take pride in expressing your vision through design. Whether you need a little space update or someone to take care of everything - I've got your back. Get Started Today! You can buy Design time by the hour. Every hour is spent working on what you need - from picking paint colours to sending you furniture options for your renovation. I can save you TIME and MONEY so your time can be better spent elsewhere. We can start with an initial 1 hour in-home consultation. We can tour your space and chat. I will follow up with a few design options for improving your space. Coming into your home is the perfect way for me to understand your goals, needs and wants. There is no pressure to invest any further after the consult. STAGING - I work with local developers, realtors and home owners in town for staging a home to buy or sell. Give me a call! VACATION RENTALS - I have set up numerous vacation rentals in Penticton. I offer different packages depending on how much work is required. From renovating and staging the home - to setting up online and managing. Keep checking back for a future vacation rental website or send me a message if you are interested in adding your property. 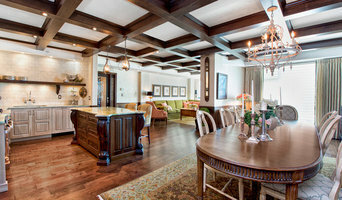 Welcome to Creative Touch Interiors, an interior design & renovation firm based in Kelowna, BC. We specialize in combining interior design with renovation project management to deliver superior results on time & within budget. We bring project management expertise to all our interior design projects, this means we work with you to develop the initial design and then coordinate with all suppliers and trades to manage the project from beginning to end. Whether you are a homeowner looking to update your space or an investor who wants to get the most out of your real estate property, renovations are a great way to add value! Our expertise lies in coordinating all aspects of design, planning, and project management to save you time & hassle when it comes to renovating. We work with a network of suppliers and contractors to deliver top quality results in design & finishing. Our clients include local homeowners as well as investors across BC and Alberta, so whether you’re looking to update your home, vacation house, or investment property in the Okanagan we have the experience and the skills to bring your design through from initial vision to project completion! JWID is an established design firm based in, but not limited to, Kelowna B.C. specializing in new builds, renovations & commercial design. JWID takes pride in providing our clients with the highest quality service in interior & exterior design, project management, furniture sourcing & space planning, custom drapery/upholstery/furniture/window coverings. Our team is committed to working with the best and most reliable trades the Okanagan has to offer, providing our clients with piece of mind knowing their project will be completed on time & on budget. 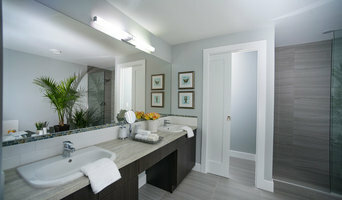 Isabey Interiors is an Interior Design company located in Kelowna. We do commercial and residential design. Christie Price Design is all about the details. We want your home to not only look amazing but to function based on the way you want to live in it. We offer services in all areas related to design and decorating both on the interior and exterior of your home. We are the Canadian design firm that is obsessed with transforming living spaces into personal works of art. At our core, we are playful style makers that are constantly seeking out fresh, unique viewpoints to expand our approach. Our favorite canvases are found in luxury residential spaces and boutique-type commercial domains where the occupants have the same infatuation with style as we do. Creating polished, organic and refreshing architectural experiences is what we are known for. Crispin Butterfield is the creative force and mastermind behind Urban Theory; a graduate of Mount Royal University in Calgary, Alberta, her engaging personality and design-commerce savvy make her a valued and well-respected professional and mentor within her field. She’s able to uniquely see the parameters and vision of each project in ways her clients often cannot, and has honed the process and expertise required to grow incredible client relationships. Crispin embraces a life full of ingenuity and imagination, fueled by raw ambition and a desire to leave her mark on the world. Her impeccable design style, expertise, and a rock-solid business acumen is the foundation which allows Urban Theory Interior Design to provide full scale services with authenticity, innovation, and ample amounts of personality! Achieve the art of beautiful living with Kathleen Hamel Interiors. As an accomplished artist and talented designer, Kathleen and her team have been creating stunning interiors throughout British Columbia and Alberta for 30 years. Custom art, murals, and decorative paint finishes are a specialty of Kathleen Hamel Interiors. Intrigue Interior Designs is a full service award-winning design firm specializing in residential and multi-residence developments. It has been operating in the North Okanagan region since its inception in 2003. The company was envisioned by Lana Robertson C.D.C. Lana has been creating intriguing spaces for herself and others for most of her life. Design and decorating has always been a passion. Her approach to design is innovative, fresh and personalized. Clients guesswork is eliminated through a collaborative vision. Lana strives to offer the best level of service and expertise in the industry. Since starting the design firm Lana has worked on hundreds of homes, from craftsman to contemporary, in the Okanagan valley. During this time she has won several gold and silver Tommie awards for her excellence in interior design in new home construction and has been featured on the cover of Okanagan Homes magazine and featured in Okanagan Life magazine. Lana's greatest career achievement, however, is maintaining long-standing and rewarding relationships with her clientele. Offering full interior design services. Furniture selections & styling. Silver TOMMIE - 2014 - Kitchens of Excellence * my business started in Vancouver years ago, and opened in Kelowna when I moved back to the Okanagan * specializing in Restidential and Commercial projects - one step at a time - ensuring every detail is done to my clients' vision * I am a small company - I take pride in getting to know my clients and l look after every detail *. Research is paramount to me - knowing the demographics of potential residents of every Commercial decorating & design job, is my goal Total home Interior Decorating Projects - personalized to make your ideas and dreams into a timeless design that marries beauty with function!